The law is structured to make divorce a fair process where each spouse has a clear and accurate picture of the marriage’s finances and income, so an equitable division of assets and support awards may be negotiated or issued. In Florida, assuming the asset is considered part of the marital estate, which generally includes anything earned or acquired during the course of the marriage, who contributed the greater amount does not matter. The law still seeks to divide assets and liabilities on an equal basis, though the ultimate goal is to determine a division that is most fair. Unfortunately, some spouses are unwilling to follow the rules for property division in divorce, and do not believe the other spouse should have rights to the all the assets they contributed. In an effort to block the other spouse from potentially gaining access to this property, some will attempt to hide certain assets in hopes of keeping it for themselves. As is likely apparent, this type of behavior is not condoned under divorce law, and can even lead to criminal charges if concealment also acted to violate federal tax laws. This is the situation facing a European founder of an oil and gas company who is now being prosecuted in connection with creating sham companies to hide assets from his former wife in their divorce. While most spouses will not go to these lengths to hide property, some will submit incomplete, inaccurate, or outright fraudulent financial statements to achieve this end. A discussion of how this behavior impacts the outcome of divorce will follow below. Sudden decisions to defer or delay salary and commissions. Once a red flag is identified, it is crucial to follow up and conduct a thorough investigation into the possibility the other spouse is trying to conceal assets. The use of court orders to demand information, and the services of a forensic accountant and other financial professionals to analyze information, is often necessary to discover the truth. Assuming the concealment of assets is proven, the court can use this information to justify giving the innocent party a greater share of marital assets. While a 50/50 split is the presumed starting point, either spouse is permitted to present information that this allocation would be unfair. Hiding assets to gain an unfair distribution of assets would certainly fall into this category. In addition to giving the innocent spouse more assets, courts also typically order the guilty spouse to pay the other spouse’s attorney’s fees and investigation expenses. Thus, this decision can cost the guilty spouse far more money than he/she would have lost in an informed and accurate property distribution settlement. Emerging from divorce with a fair chance to recover financially means getting a fair settlement based upon what is actually in the marital estate. If you suspect your spouse may be trying to hide property, talk to the experienced attorneys at the office of Joyce A. Julian, P.A. about asserting your rights. We understand what is at stake, and will fight to get you outcome you deserve. 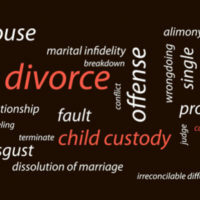 Contact the Fort Lauderdale divorce attorneys today at (954) 467-6656 for a free consultation.